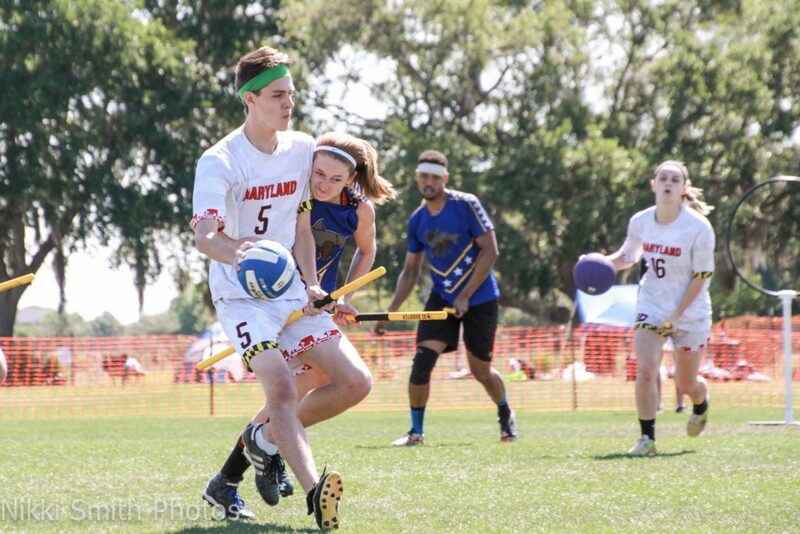 University of Maryland is back in a position to beat the community’s expectations. The Terrapins have struggled over the years to return to their former dominance, predominantly due to the loss of key groups of seniors year after year. However, the squad only lost three players to graduation this time around: chaser Nathan Abbott and keepers Brenden Hutton and Garrett Sadtler. Important players, yes, but players that can be replaced with any of the experienced individuals left on the team. Fortunately for Maryland, 2017-18 captain Dale Farnan will no longer assume the captain role, allowing him to focus on filling the hole on field left behind by Hutton and Sadtler. Though not as flashy as Hutton, Farnan is a more reliable scorer and spent the summer honing his skills on the Washington Admirals. Mike Sindall is another keeper to watch as he has the opportunity to shine with the aforementioned absences. With height to spare, both keepers are in a commanding position to make excellent passes on offense and possess the wingspan necessary to guard all of their hoops. In addition to athletic skill, both Farnan and Sindall have leadership credibility within the team and can take control on-pitch and guide their lines to success. Filling Farnan’s role as captain is Ben Whong. Expect Whong to push the already competitive chaser game to higher levels. 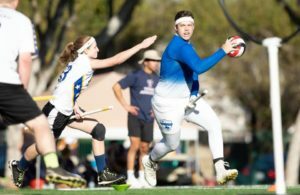 There was a great deal of athleticism in the 2017-18 squad, but with many players lacking any out-of-region experience—and the lack of competition within the Mid-Atlantic—many teams at nationals surprised the Maryland chaser lineup. If Whong focuses on conditioning the team and uses existing quickness to develop an even more powerful passing game, the quaffle players will be hard for any defense to stop. While Maryland’s beaters may still struggle to compete against the top level, there are finally no novices left on the starting line. At no position is experience more important than at beater and, now, with games under their belt against beater corps like Arizona State University and University of Texas, the Maryland beaters know what they need to do to grow. This experience becomes even more critical to help Maryland’s ailing seeking game. The keys lie with Lauren Dyke and Melissa Smith—who now have years of both USQ and MLQ experience—so keep an eye on these two this season to see how they fair. As mentioned, Maryland’s seeker game is the biggest question mark for the 2018-19 season. While almost every position will be seen as a step up from last year, Maryland’s seeker depth is taking a serious hit with the loss of Hutton. Whong, the former second string seeker has added beating to his duties making him busy throughout the entire game potentially making him too tired to truly perform as the top seeker. Therefore, the responsibility of the position will fall to a rotation of other players. The fact that Whong has experience as a seeker could mean he can focus some of his efforts to train a great seeker; or he could be too overwhelmed leading the entire team to focus on such training. If it’s the latter, then Maryland will face some disappointment when they run into an even match; if the former, then the team will present a threat that they haven’t shown in years. The biggest test for the team will be if they get more experience. 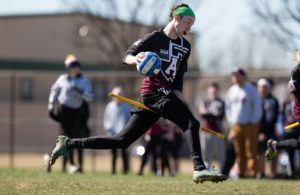 Missing out on the Oktoberfest Invitational and poor showings by teams at Turtle Cup VIII left the 2017-18 recruits with less competitive experience than in the past. With a strong showing against the vastly more experienced team The Warriors at this year’s Turtle Cup, they are starting the season well, but the onus will be on Maryland to find opportunities to get more experience against a variety of better teams. A Mid-Atlantic Regional Championship title repeat is a strong possibility. The only close competition last year was University of Virginia in the finals, and University of Richmond is recovering from a larger graduating class. A regional championship that’s closer to home will further put Maryland at an advantage to defend their title. 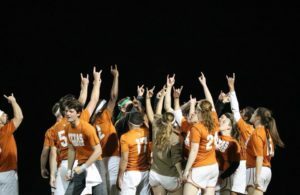 While a regional title does not help from a competition standpoint—and, arguably, hurts in the Southwest—it does put a team in a strong position for morale. With more experience under their belt, that morale boost should serve them well when they need to compete on the national stage in April. Maryland may not be in the position to win it all; there are too many factors that point towards a Texan team. But the only thing more surprising than University of Rochester winning USQ Cup 11 would have been the Spanish Inquisition. So it’s definitely possible that Maryland will at least beat expectations and, once nationals roll around, it could end up being anyone’s game. For the majority of the season, this article will appear to be proven wrong. University of Maryland will post scores trouncing team after team; scores that would suggest national championship aspirations in almost any other region. However, the Mid-Atlantic has a lot to prove this year and an impressive record heading into nationals may not be all that it seems for Maryland. Maryland is entering the 2018-19 season as the big fish in a small region. Their regular season will make them look like a promising championship contender, increasing their standing and giving the Terrapins hope coming into USQ Cup 12. Unfortunately, when they meet a top-10 college team outside the Mid-Atlantic, they will be in for a rude awakening. Given the nature of Maryland and the difficulty of travel, it is likely that the first time they match up against a non-Mid-Atlantic team will be at nationals. Dropping out from the Oktoberfest Invitational means they are missing out on some of their best and closest competition. This Maryland team is equipped and talented enough to face almost anyone, but with a lack of extra-regional play this season their talent won’t be enough. Right now, the five best collegiate teams are all slated to meet in mid-January at the Heroes vs. Villains Invitational. The teams attending will certainly gain ground playing that level of competition, ground that Maryland will not be able to make-up in local tournaments featuring University of Virginia, George Mason University or Penn State University. It is not that the aforementioned teams are bad, but it’s unlikely that they will push Maryland in the same way teams like UCLA or Texas State University could. Maryland has talent at the quaffle position to compete with any of the teams in The Eighth Man top six. John Sheridan should start being considered one of the best chasers in the game, and alongside Sheridan is a group of quaffle players who are athletic and do not shy away from physicality. However, the beater position continues to remain a weak spot for Maryland. Last season, we saw Brenden Hutton occasionally swap to the black headband, using his athleticism and knowledge of the game to bail Maryland out of tough situations. With his graduation, we now see Ben Whong taking up the mantle of being Maryland’s athletic chaser-turned-beater. And while Whong could flourish at the position thanks to his speed, the problem is that he will not get to face top-level beaters on a homebody Maryland squad. Their recent in-range Turtle Cup VIII final against reigning Mid-Atlantic club champion The Warriors may seem promising, but a second look at the club team’s roster and their handling of substitutions tells another story. That being said, if Maryland takes a few trips north to play The Warriors in friendly scrimmages, maybe they can compensate for their lack of encounters with other top-10 teams. Regardless, don’t expect homebody Maryland to make the extra effort. Come nationals, the Terrapins will be just another college team failing to live up to the hype. Born and bred in NYC, Ricky has the sports confidence of a Yankees fan while knowing the pain of actually being an Orioles fan. 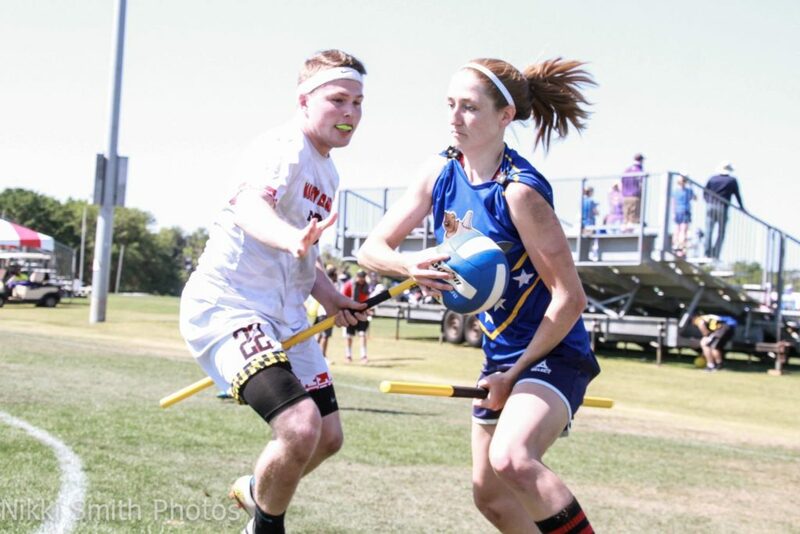 Long-time beater for University of Maryland, Ricky has his finger on the pulse of the game. Having participated in 30+ tournaments, he has seen the players, the teams and the invention of the telegraph. With a fierce love of debating, he will be happy to share personal opinions or simply play devil's advocate in order to make everyone else's lives less productive.